12 Simple Salmon Recipes – Quick & Easy and Healthy too! 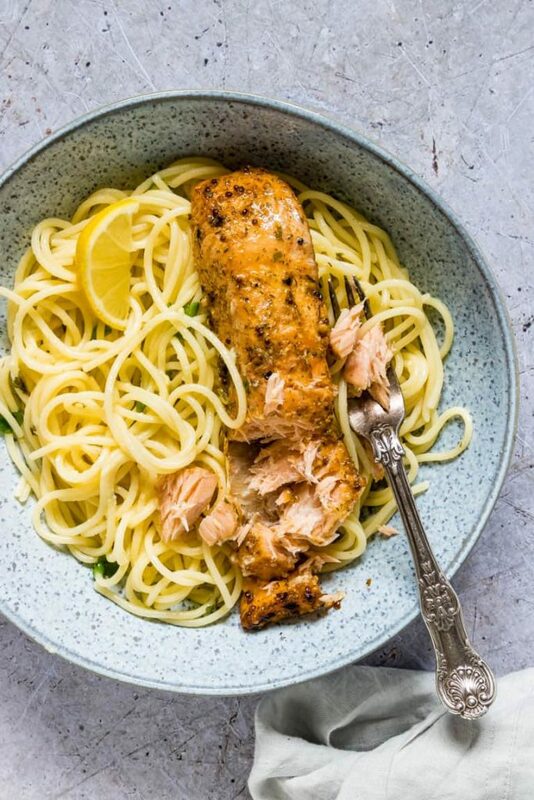 These 12 Simple Salmon Recipes are quick and so easy to prepare, PLUS they are healthy too! Salmon is one of the most versatile foods out there and so good for you. From elegant dining to dinner at home, and a lot in between, you are going to love these recipes. 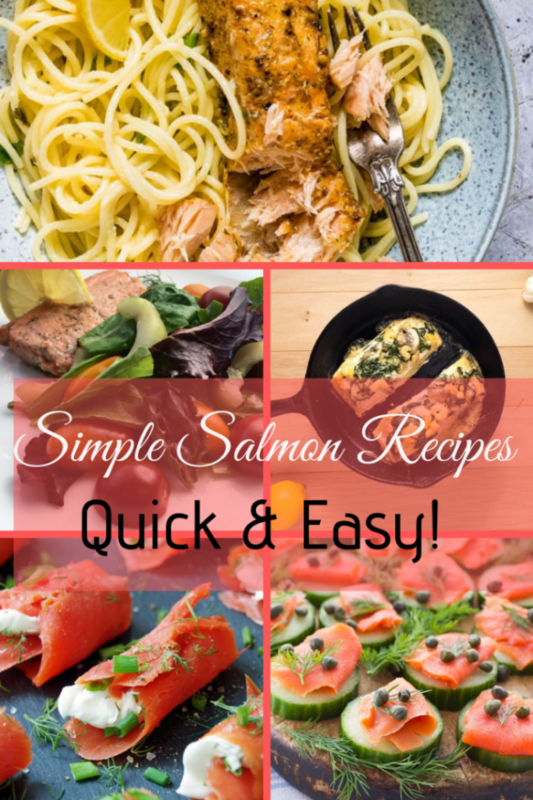 I reach out to my favorite food bloggers to find more tasty simple salmon recipes for all of us to try. This pan seared salmon is delicious! The balsamic dressing is a lovely compliment and very easy to make. This is an elegant dish to serve for company but easy enough to serve for an everyday dinner or lunch. 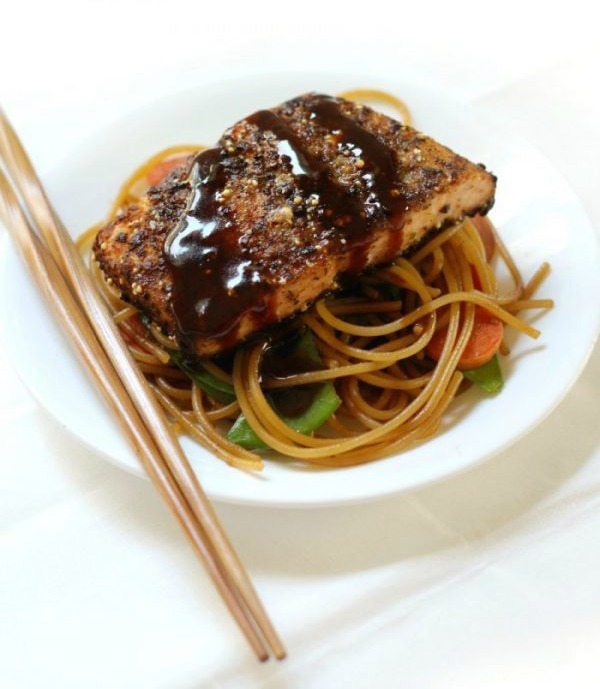 Salmon with an Asian flair! 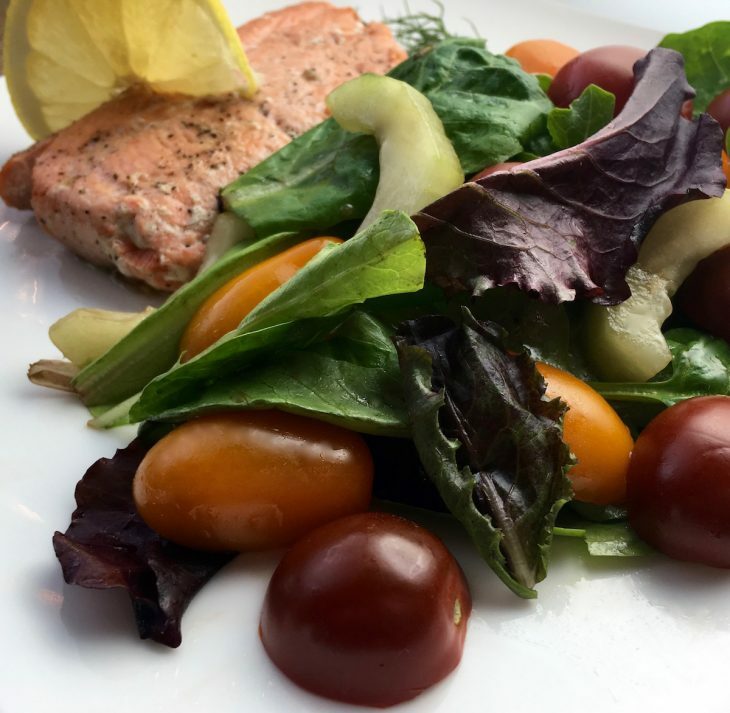 This dish starts with prepackaged salmon in perfect portions. The noodles are gluten-free and the dish is delightful. Why go out for Chinese when you can cook this at home? Add some eggrolls and its perfect! This is one mouthwatering dish. Again, the glaze is amazingly simple and what a combo! 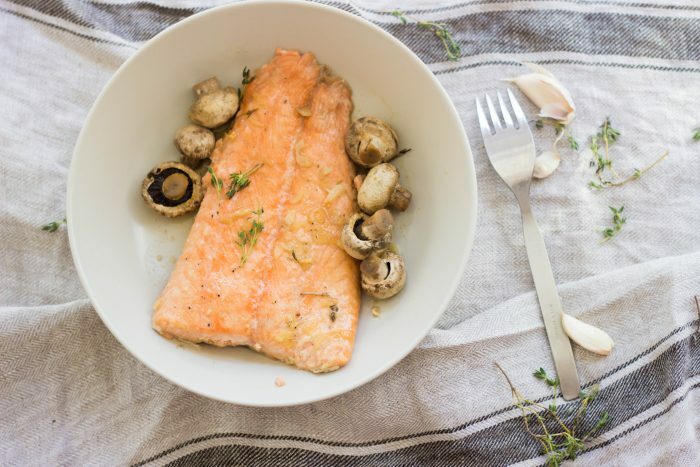 Garlic, honey and lemon juice make a scrumptious glaze for the salmon plus the mushrooms soak it. Delicious little flavor bombs! 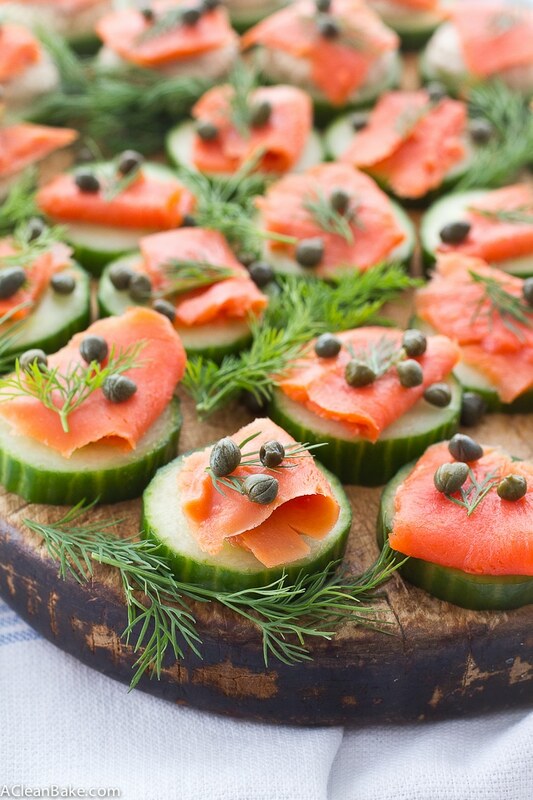 This salmon recipe is the perfect way to start off a meal or on an appetizer tray for a party. 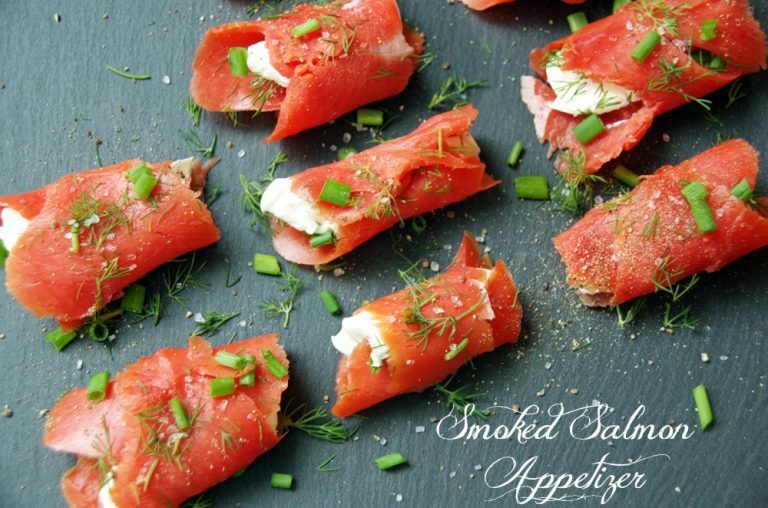 Smoked salmon, mascarpone cheese and herbs make up these delicious little bites of flavor. And it only takes 10 minutes to put these together! Salad lovers this one is for you. 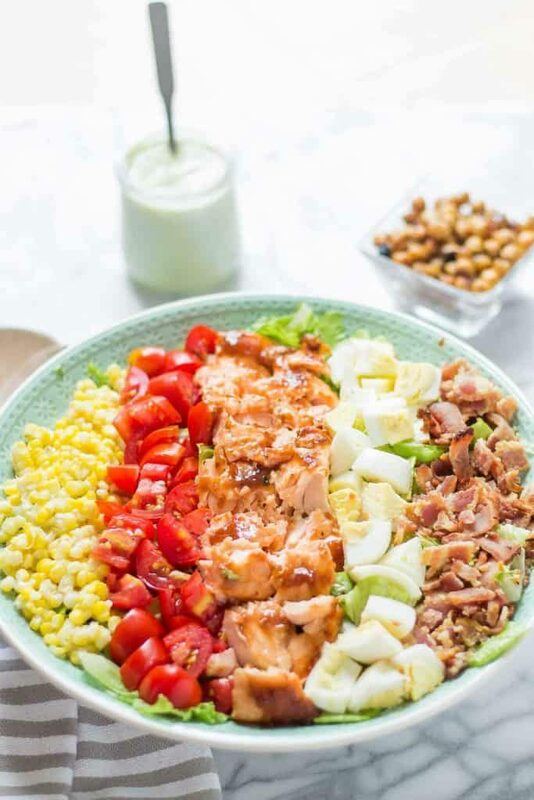 I adore salads and this is a unique twist on a cobb salad. The avocado dressing provides a flavorful touch that you will love. It’s as healthy as it is good. Pan fried fish of any kind is so good. If you like pan-fried fish you are going to enjoy this recipe with lemon and dill. The herb salad is a wonderful accompaniment. Another recipe that would be great for lunch, brunch or dinner. 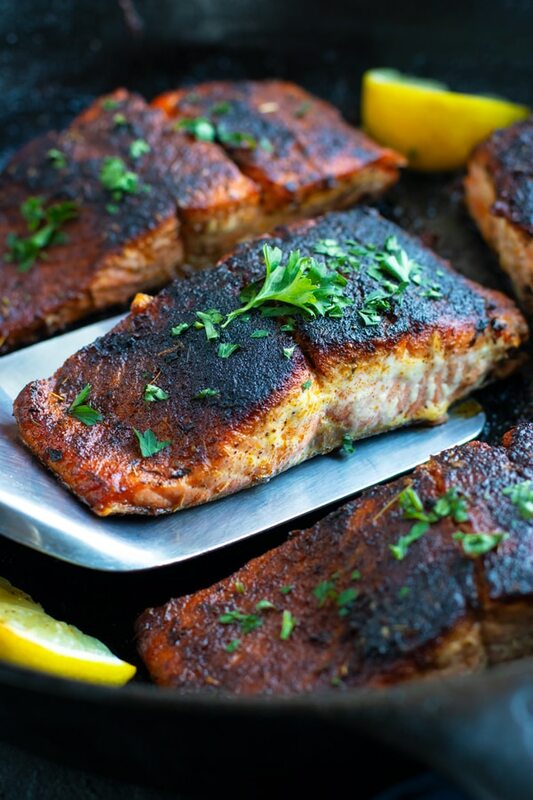 Learn how to make blackened salmon with this recipe. You can bake it or fry it – the choice is yours. Plus you get some great suggestions on what to serve with it. It’s easier to make than you think. I love “mini” foods so appetizers are favorites with me. You can make a meal of different kind of appetizers which is a lot of fun. Another healthy recipe that is fresh and delicious. 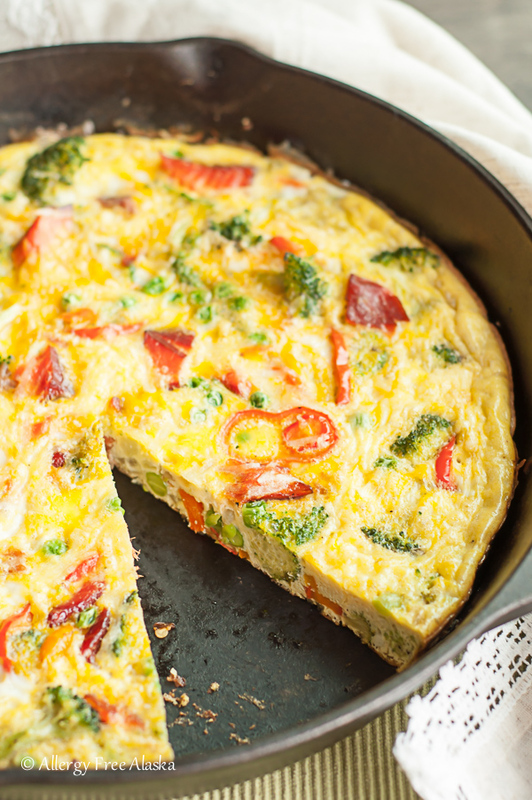 Frittatas are normally a breakfast food but this works just as nicely as a dinner or brunch dish. Broccoli, peas, onions and sweet peppers are in this one but you can tweak and add your favorite vegetables. What a fantastic combination! 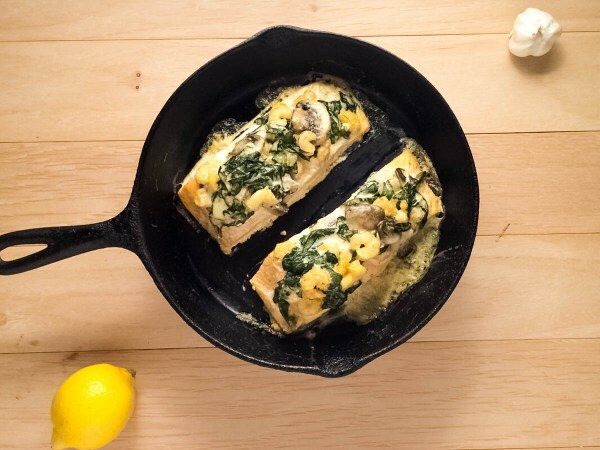 Salmon stuffed with shrimp and spinach is fancy enough company but your family will want you to serve it often for dinner. This recipe is super easy to make and is ready in just 30 minutes. It’s a great dinner time meal for the whole family but also goes wonderfully as part of a brunch menu. A lighter pasta recipe. Sheet pan recipes are wonderful! Everything goes on one pan and gets popped into the oven. Easy and simple. 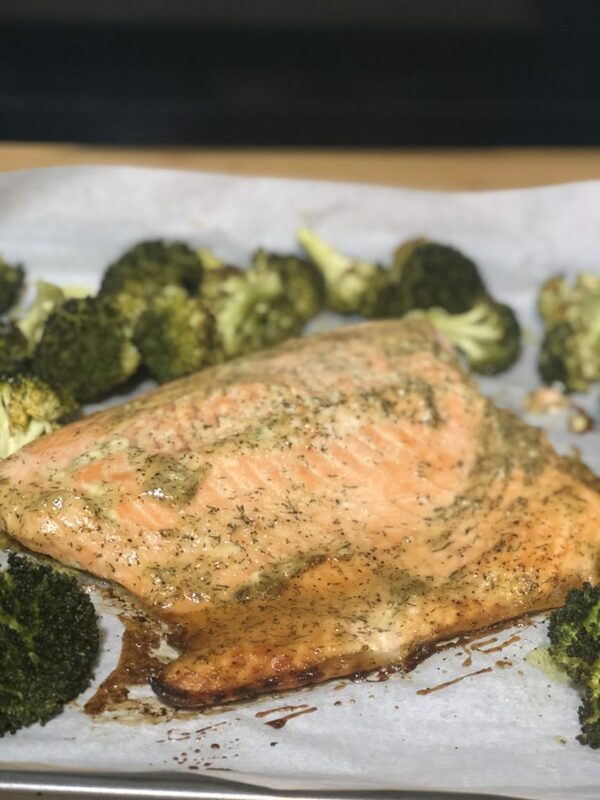 This salmon gets marinaded in a delicious homemade honey mustard marinade, which is also a great salad dressing. Toss in some broccoli and you have a healthy, delicious and fast dinner. 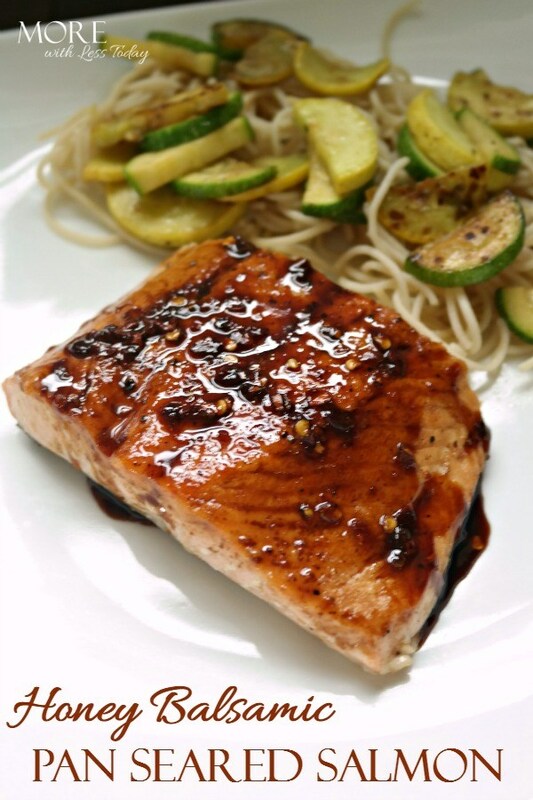 So many great Salmon recipes to try! I think I will start with the cobb salad! Yum! I just joined Costco and they have such great salmon to try these! Thank you for the inspiration. My family loves salmon but I don’t so have a hard time choosing a recipe. These look great to try! Salmon is my favorite fish. I love to find new ways to prepare it! Same! I can eat it in any way or manner!